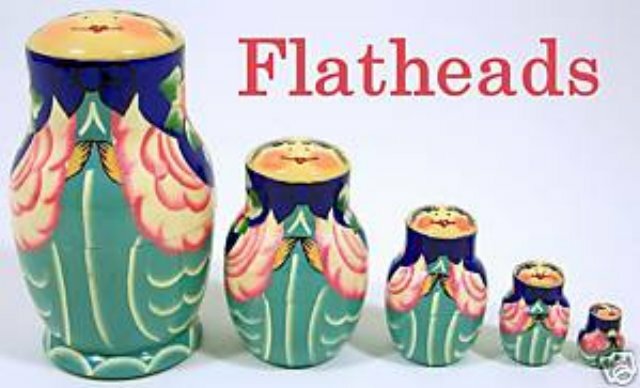 In 1996, The Russian Doll Company came up the idea to try something new by designing these nesting dolls with flat shaped top with the faces painted as if the doll was looking up – thus the name Flathead! This particular set is approximately 4” in height descending to the smallest doll at about ¾”. Each set is also signed on the bottom by the artist.